Since his first films, Wes Anderson has always had an "ongoing obsession…with nostalgic periods, objects, and styles…making sense of the ways nostalgia creates in us a profound yet foggy relationship to the past" (filmschoolrejects.com). Many of Anderson’s visual decisions are utilized to portray a sense of nostalgia, stories of the past that had emotional significance to at least one person. Using his latest film, "The Grand Budapest Hotel," as a representative of the whole, I created both an interactive experience and a poster describing Wes Anderson’s visual style and his fascination for the nostalgia concept, showing how it is depicted throughout the movie. 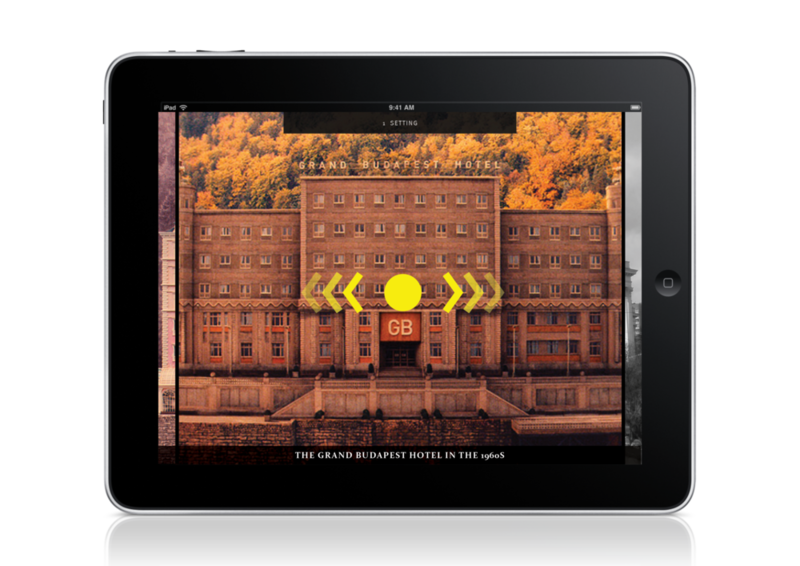 An experience that mainly works with swiping and dragging functions, the piece puts its full attention to the visuals of The Grand Budapest Hotel and WWII. Presented with both sides at once, which one fills the entire screen is up to the user. 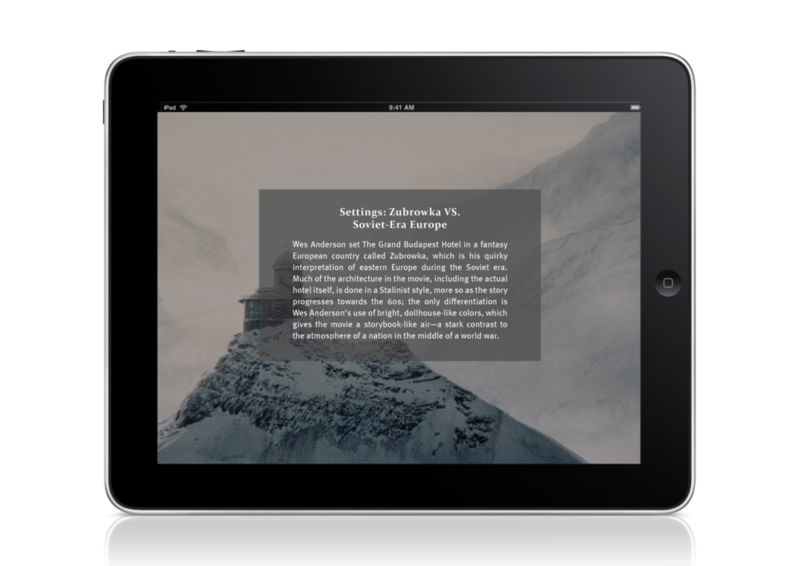 Once clicked, held, and/or swiped the user can learn more via text, dialogue clips, and video clips. It is meant to be immersive, and highly focused on the subject at hand. The poster, on the other hand, is laid out as a summary of what the interactive piece covers. The images/scenes from the Wes Anderson film and the War consistently stay on their respective sides. The text explains the similarities/differences between them, while visually bridging the gap and bringing them together. This makes it easier for the viewer to compare each side. This iteration focuses primarily on its content—the screenshots and analysis—with the concept and title not too far behind them in hierarchy, but behind enough that it becomes an afterthought, a reflection. Because the point of the project was to create an informational experience around our given subject, the research phase was a crucial part to the process. I put a lot of focus on studying Wes Anderson—not just as a filmmaker/director, but also as a person and visual artist. Going through several of his films, I noticed how they give off a retro, oddly-reminiscent feel in a way that seems almost unrealistic due to the combination of visuals and dialogue. 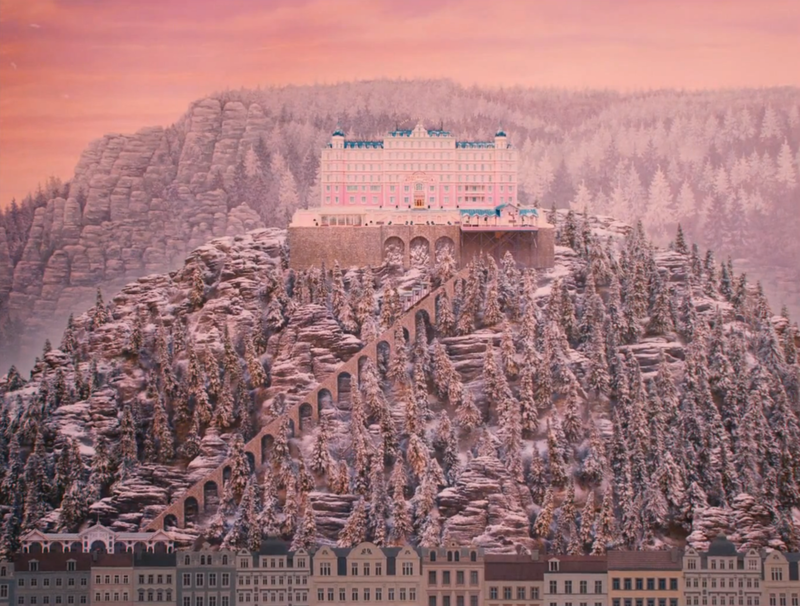 At the time, critics were proclaiming his 2015 film as Anderson's most signature piece; I decided to use "The Grand Budapest Hotel" as the representative of the whole, to describing his visual style as well as his fascination for the nostalgia concept. 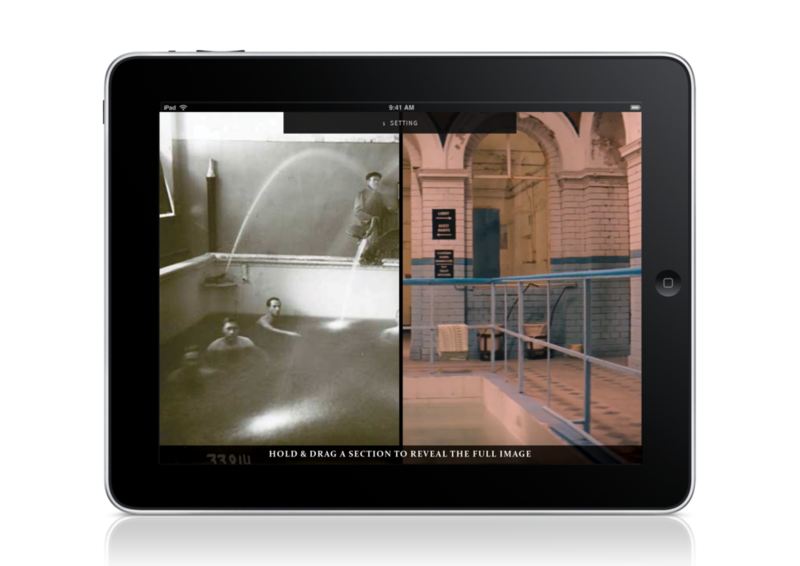 Differences lied primarily in structure and presentation— while image collected from "The Grand Budapest Hotel" seem blatantly fictional, the ones of WWII were colder, more candid, and ultimately more believable. Because of how effective it was in helping me notice the similarities and differences between the subjects, I decided to work with the side-by-side comparison idea for both digital and print. Starting with the digital component, I wanted to create an experience that'd be immersive, with a flow that's easy to follow. I kept the images mostly full-bleed so that the focus would be solely on them—which meant that navigation and textual content had to be non-invasive and minimal. I divided the content into five different categories in an order that transitioned from physical comparisons to more emotional/internal ones as the user continued with the experience. Because the interactive piece lacked a special style to it (as a result of having the focus be on the actual content), I didn't have anything to jump off of initially to make the print piece look appealing. I thought the print piece didn't need difficult to pinpoint just how much or how little information to put on the piece. Since the actual "Grand Budapest Hotel" is the most prominent image in people's minds of when they think about the movie, I thought juxtaposing the hotel next to an actual building that closely matches its structure would be a thought-provoking way to grab the attention of the viewer. At first I stuck to rendering the buildings—in hopes they would possess a more prominent, similar element that will help the viewer relate them to each other and incorporate them more seamlessly. As the render iterations began to pose many issues, I scrapped the idea and started fresh, focusing more on the content than drawing people in with just cool visuals alone. These iterations came out looking more coherent to the interactive piece, and better presented the side-to-side concept. However, the content presentation was still problematic because there was so much information to juggle. Once I cut down on information and narrowed on which imagery to use, things moved on quickly. The biggest challenge here was creating a natural flow for the eye to follow without getting stuck in any of the horizontal "strips," but after several rounds of pixel-pushing, I landed on a composition that was not only effective and coherent, but matched well with its digital counterpart in personality.